Welcome to the first edition of The Memo. We’ll be sharing details of our new onsite and online programs, exhibitions, resources and competitions. Our aim is to provide you with tools to further explore active citizenship. Find out about the development of Australia’s first refugee policy under the Fraser Government and how it still impacts decisions made today. Students will bring the events of 1977 to life using authentic speeches and conduct their own meeting in the Cabinet Room. Requirement: Teacher led - 1 supervising adult per 15 students. A teacher-guided exploration of the historical sites surrounding MoAD. This program uses discussion to engage students as they search for symbols, shapes, sights and sounds at one of Australia’s most significant places. Students will embark on a journey of the grounds surrounding MoAD to discover how this important site has changed over time. Follow us down the rabbit-hole for Behind the Lines 2018: The year’s best political cartoons. 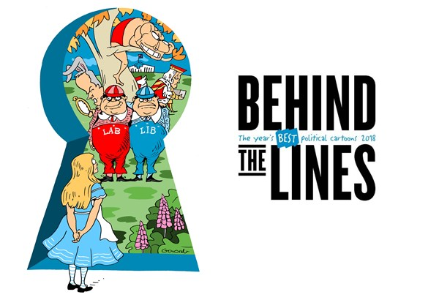 This year’s theme Curiouser & Curiouser inspired by Lewis Carroll’s Alice’s Adventures in Wonderland, sums up a political year filled with turmoil and high drama. Teachers interested in exploring this exhibition with their class can book in for our Behind the Lines program. A Museum Educator will provide an introduction and conclusion to this teacher-led program. Can’t come to us? We’ll come to you! MoAD Learning is launching a new digital excursion program. Democracy, Media and Me closely aligns with the Australian Curriculum (Civics and Citizenship and HASS Learning areas) for years 5, 6, 7 & 8. 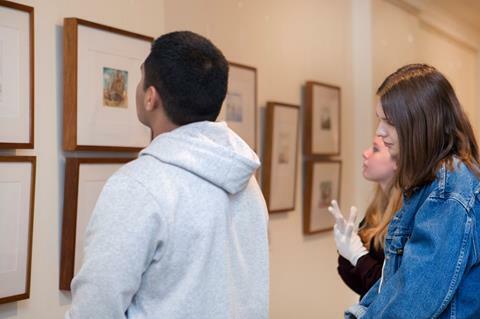 This is an opportunity for students unable to travel to Canberra to experience the history of Old Parliament House and learn about democracy through an interactive and highly engaging experience. MoAD Learning would like to know what democracy means to your class. Students are invited to share their thoughts with us in a creative way. The best submissions will be displayed on the walls here at MoAD. These artworks will also be uploaded to our Learning website. Visit the Competitions & Challenges page for more details.